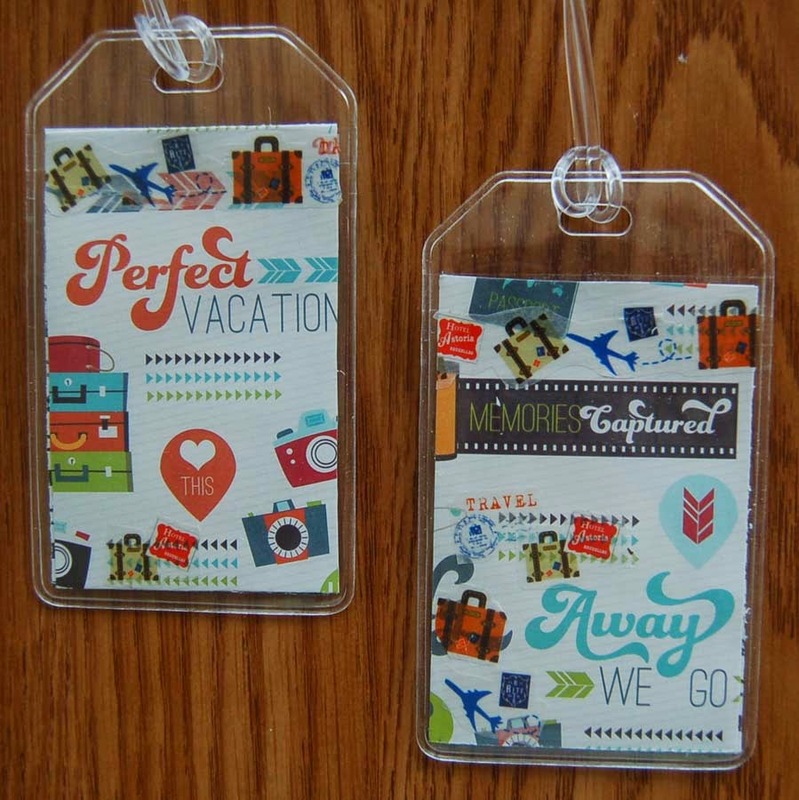 When I spied the Paper Smooches 'Get Out of Town' stamp set and the Imaginisce ' Perfect Vacation' 12x12 card stock, I knew that they would look great together as luggage tags. I die cut the word bubbles (Paper Smooches) from marker pad paper (BFC) and stamped the images and sentiments. The word bubbles were stained with Distress Ink (BFC) and the images were colored with Momento pens before fussy cutting. Double stick foam squares were placed under the images to give them a bit more dimension. I tried to cut out the card stock for the back of the tag so that it was visually pleasing and captured appropriate words. However, there were still blank spots or unwanted graphics so I disguised them with travel icon washi tape. This helped to balance out the design. 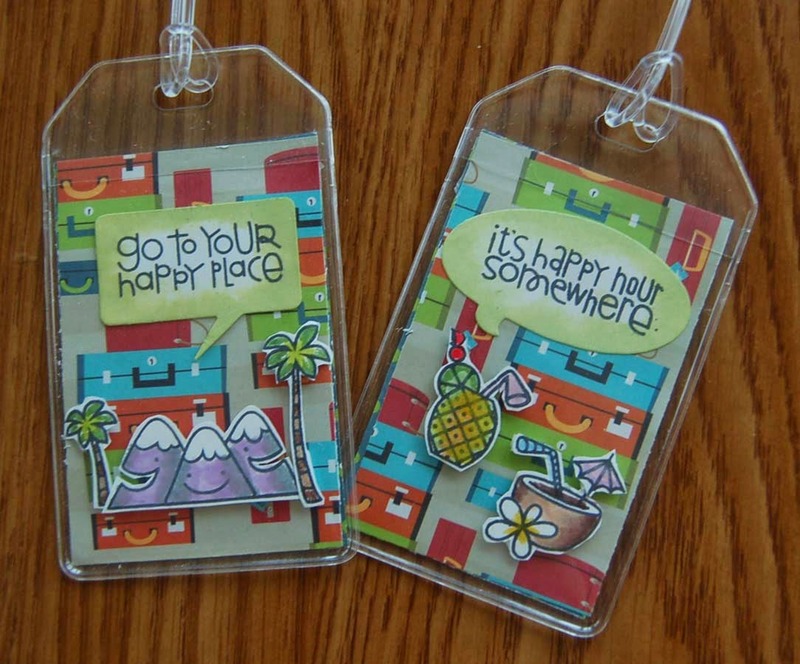 I am pleased with the outcome of this project and plan to give the tags to a couple who are going to vacation in Hawaii this year. Bon Voyage! This is the last of the series of C.C. 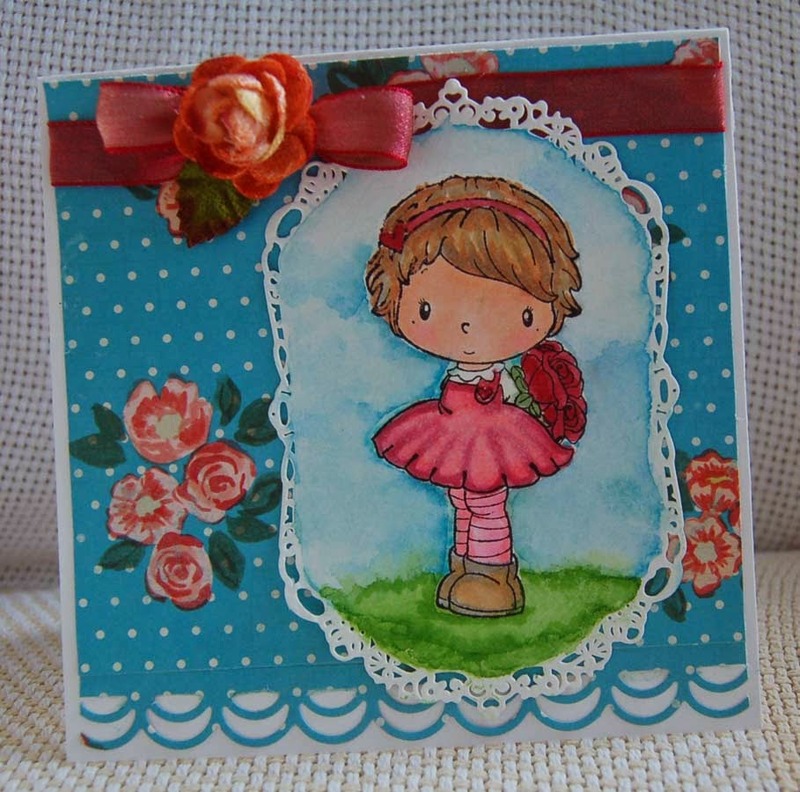 Designs 'Rose' stamp cards with masked image and watercolored backgrounds. On this card I used a Bo Bunny printed card stock from the Madeleine line and a sticker from the matching sticker 12x12 sheet (lots of really great stickers on it). I cut the frame from watercolor paper using a Spellbinder die and applied watercolors/Copic pens to the insert. I was happy to find a paper in the Bo Bunny 6x6 Madeleine pad that featured picture frames...a .perfect match for the framed image. To finish off the card I dusted the frame with pink chalk, added foam squares to the back of the framed image and sentiment sticker, and glued on three paper roses to the wired bow. Normally, I remove wire from ribbons, but because I wanted the card recipient to be able to re-fluff and re-position the ribbon after removing the card from the envelope, I left it in. I think I may use this card for a wedding shower or anniversary so I decided to make a matching lined envelope...looks fancy yeah? It was easy to trim off the top corners of a 6x6 sheet from the Madeleine pad and tape it into the envelope. The paper won't reach the bottom of the envelope but it won't be visible. 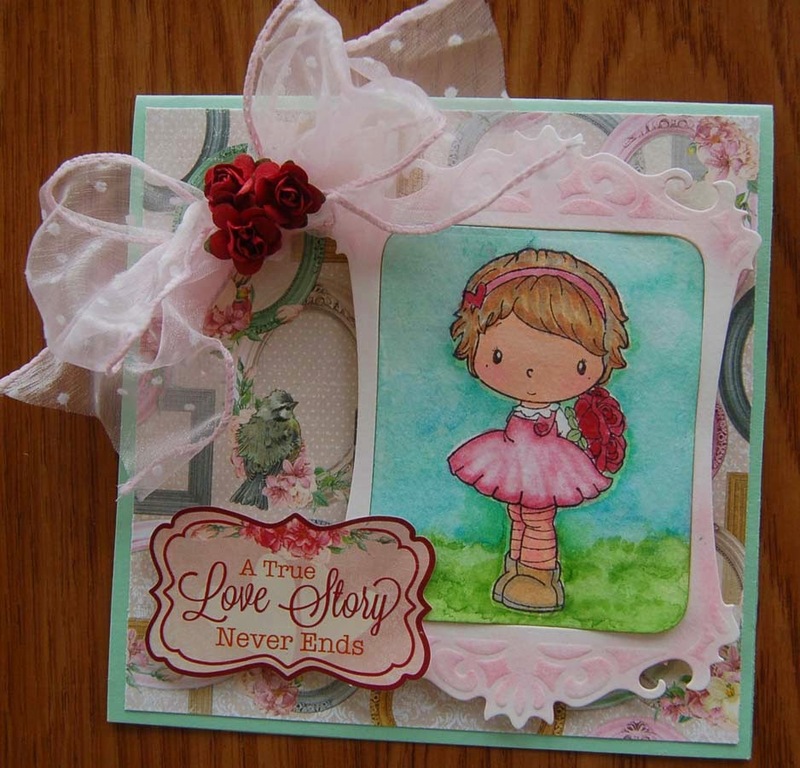 Most of the supplies used on this card were purchased at HM Ben Franklin crafts. The three cards in the series are feminine and suitable for Mother's Day or other special occasions. I hope I have encouraged you to try masking with washi tape and watercoloring backgrounds. Give it a try; I'm sure you'll enjoy the adventure. 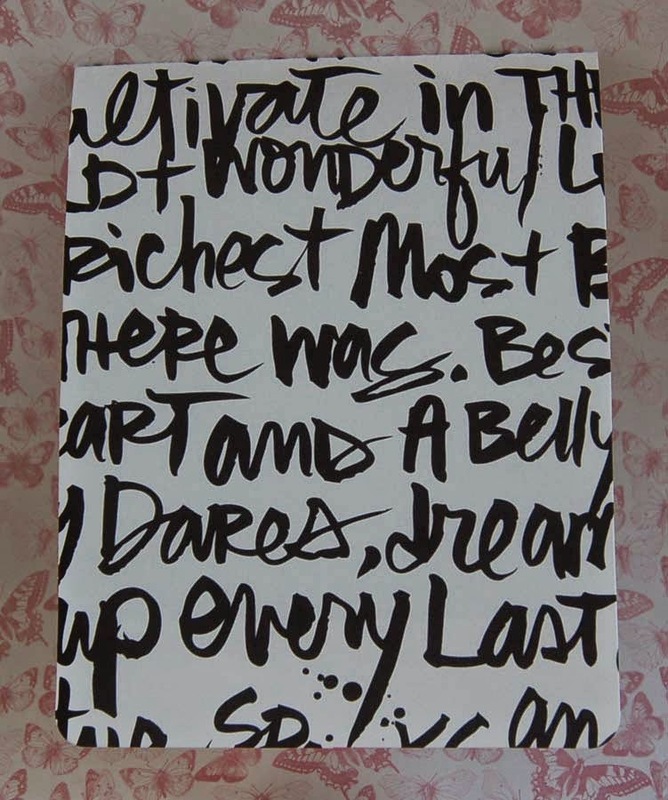 Live and love the crafty life! Here is another card in the series using the same C.C. Designs image that was masked off and watercolored over for the background. I opted not to add any bling-bling embellishments to keep the look soft and because I am not sure who I will send this card to and for what occasion. It looks like a birthday card to me so I will probably stamp an appropriate sentiment inside because the outside is already pretty busy. The tip for masking that I mentioned in my last post is that I used an extra wide washi tape (from Celebrations). I cut a piece of acetate to fit the image and covered it with washi tape. Next I stamped the image onto the tape and cut it out. 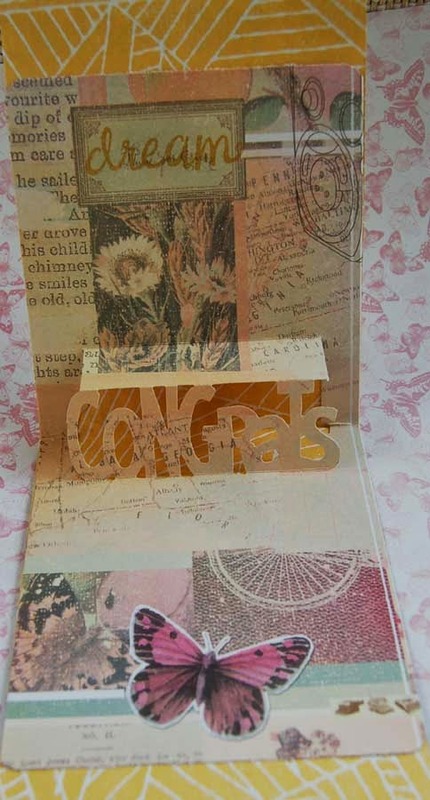 The cut washi image was used to mask the image that was stamped on the (Spellbinder) die cut watercolor paper. This photo also shows the Gansai watercolor paint set that I am enjoying because of the intense colors. 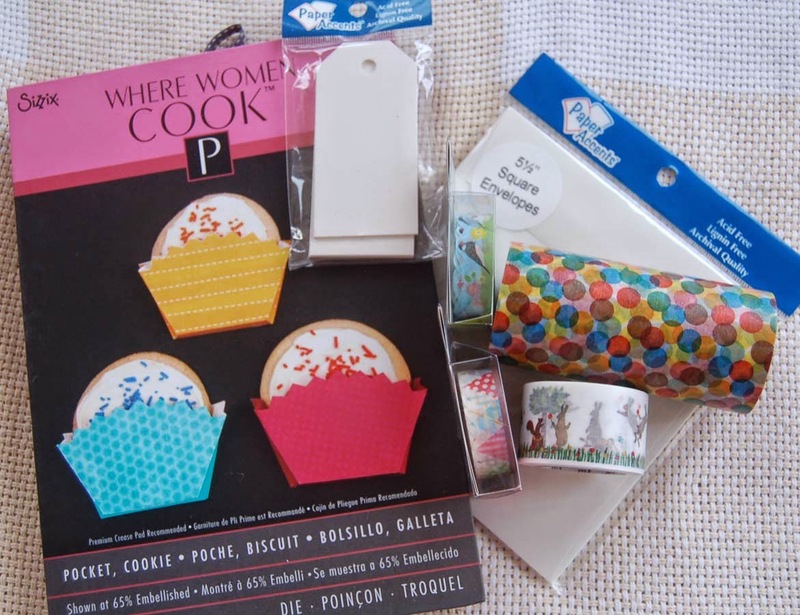 The image stamped washi tape can be stored on the acetate piece and reused many times. I colored in the image with Copic pens for more controlled blending. 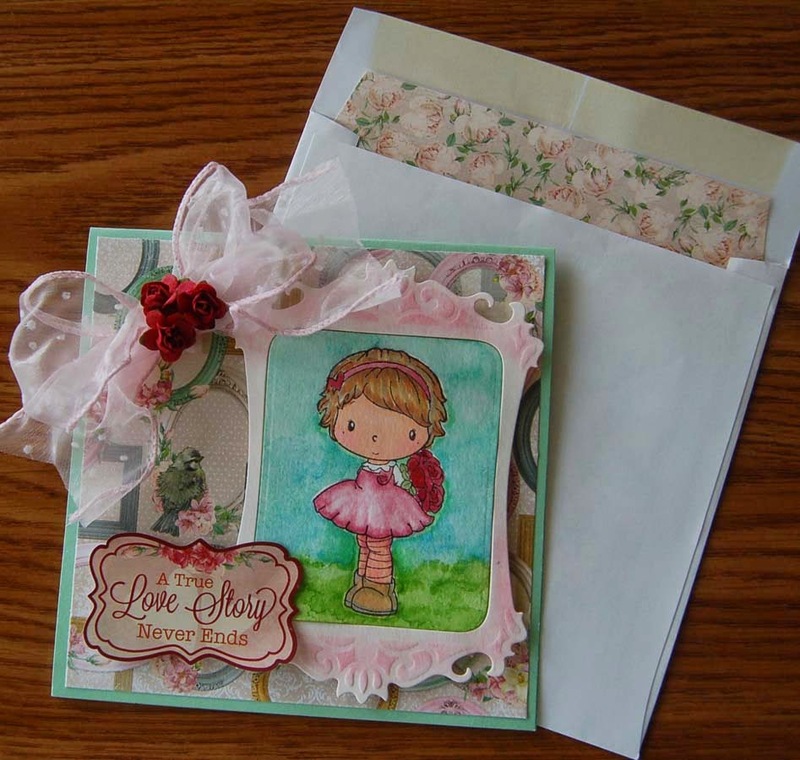 On this card I embellished with a Petaloo rose and picot edged satin ribbon (sold in a giant roll for lei making). Both were from HM Ben Franklin Crafts. 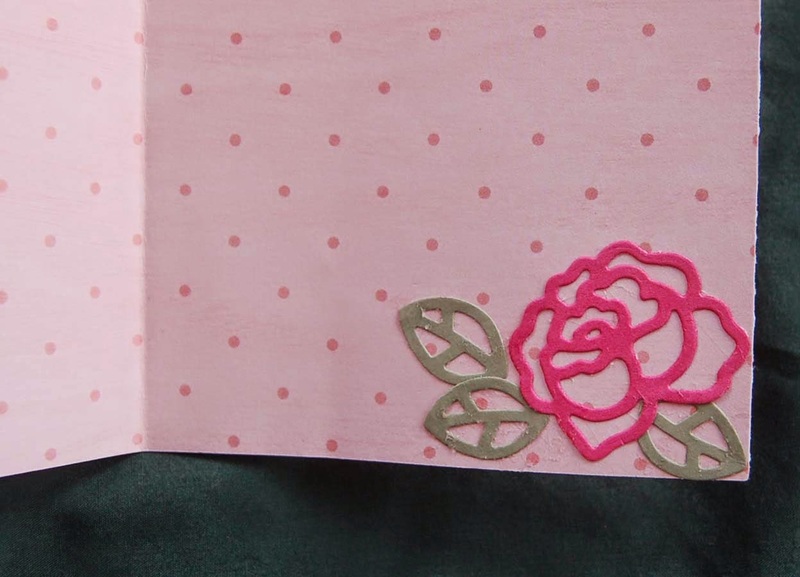 The photo below shows the die cut Paper Smooches rose I glued to the inside of the card. I thought the rose matched very well with the Dear Lizzy double-sided printed cardstock (see bottom photo) that was the base for this card. I like to cut several pieces once I have my Big Shot rolling but I found that this particular die has many small cut outs. I could have thrown them away but I wanted to save them for possible future projects. 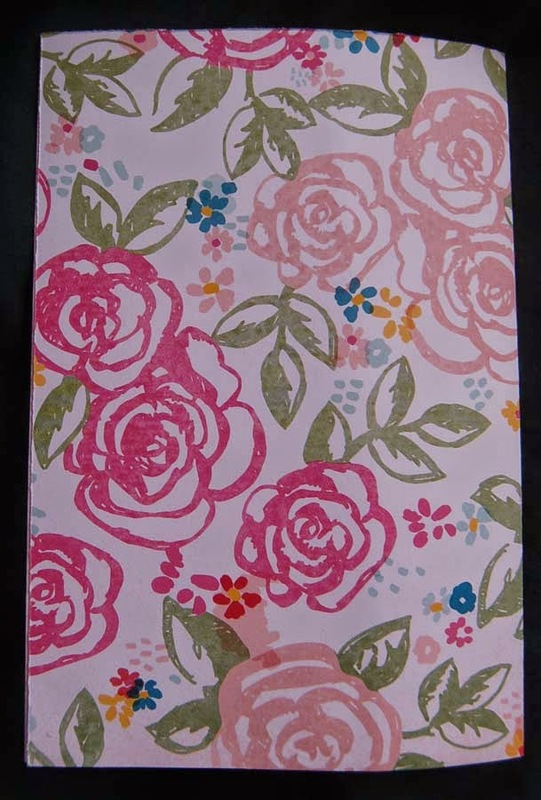 My solution was to die cut the roses or leaves and adhere some washi tape over the entire piece while they are still on the cutting pad before removing the border pieces. 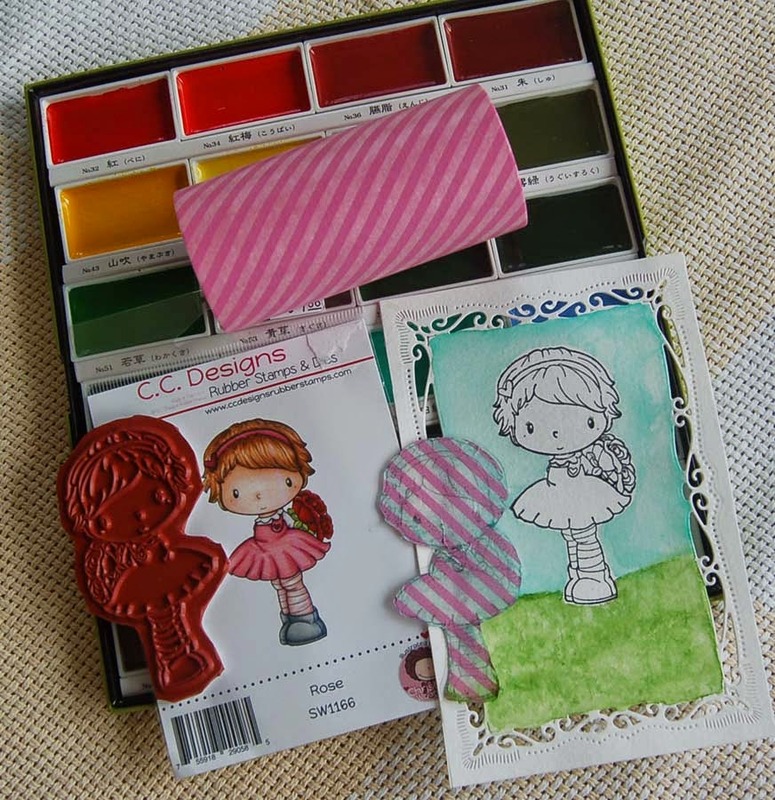 This way you will have the inside pieces saved on the washi tape.....my cool idea tip for you! How did we craft before washi tape???? I can't resist sweet little girl images, roses, and shimmering,silky ribbons. 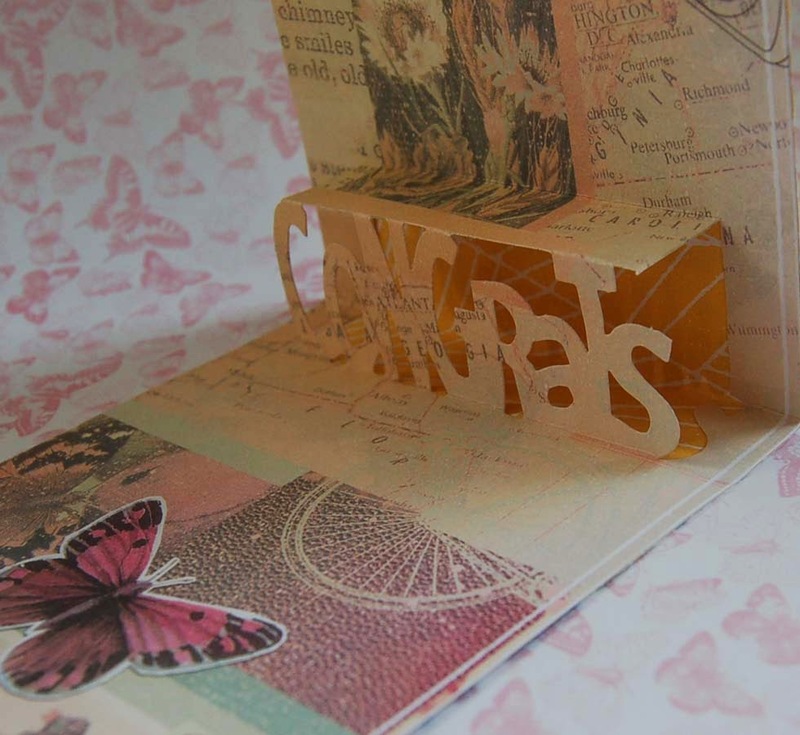 These seem to be the perfect components for a Mother's Day card but alas, I no longer have any reason to make one. Therefore, I decided to make a card that could be adapted for many occasions including Mother's Day. 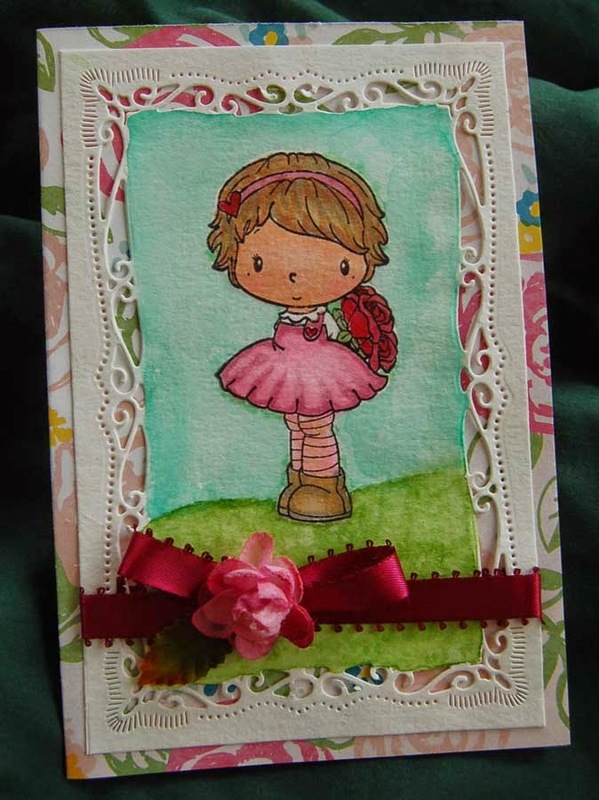 Since I am still trying to incorporate watercolors into my cards, I decided to try die cutting (Sizzix) a panel from watercolor paper (from HM Ben Franklin Crafts). Then I stamped the C.C. Design image (also purchased at BFC), masked it and watercolored the background. It was easy-peasy to cut a piece of Crate Paper printed card stock to fit a 5-1/4" x 5-1/4" square card. The bottom boarder was cut with a Sizzix die and Heiko ribbon plus a Petaloo flower were added. Oh yes, I forgot to show the pack of Paper Accent 5-1/2" square white envelopes that were bought at BFC too. (The envelopes often determine the size of card I create.) I will show how I did my image masking in a later post. I was motivated to use this technique after reading Niki G's blog (Stampn' HI) a few posts ago. What I like about this card is that it has the doily look but didn't require multiple layers which can make the card too bulky. I may add a sentiment on a banner or tag when I decide on the occasion and recipient....maybe birthday...or thank you card. Perhaps I'll dangle a charm or pendant from the ribbon as a card/gift all in one! We'll see.....for now it will go into my card stash. 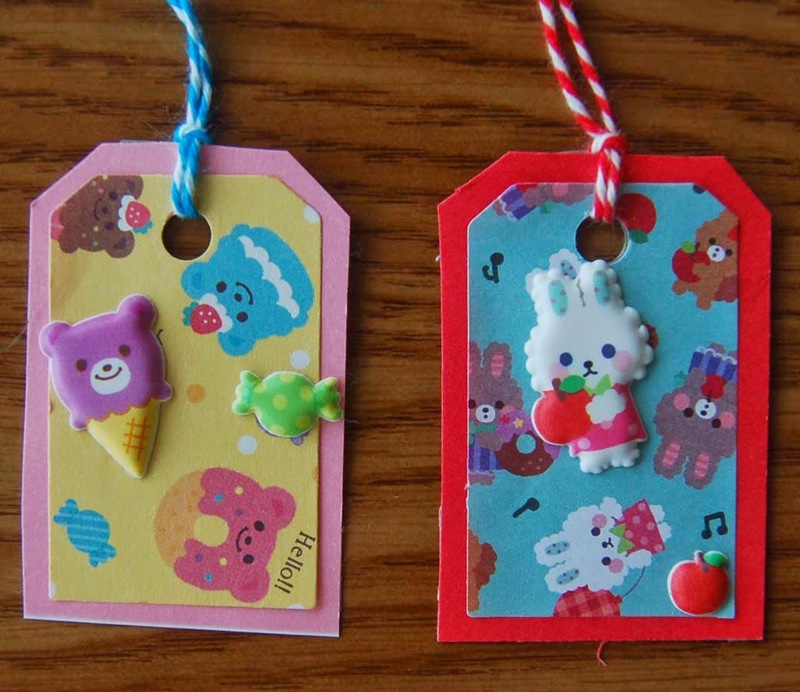 As promised, here are some puffy sticker tags made with the cute stickers I purchased at Celebrations. (See previous post.) 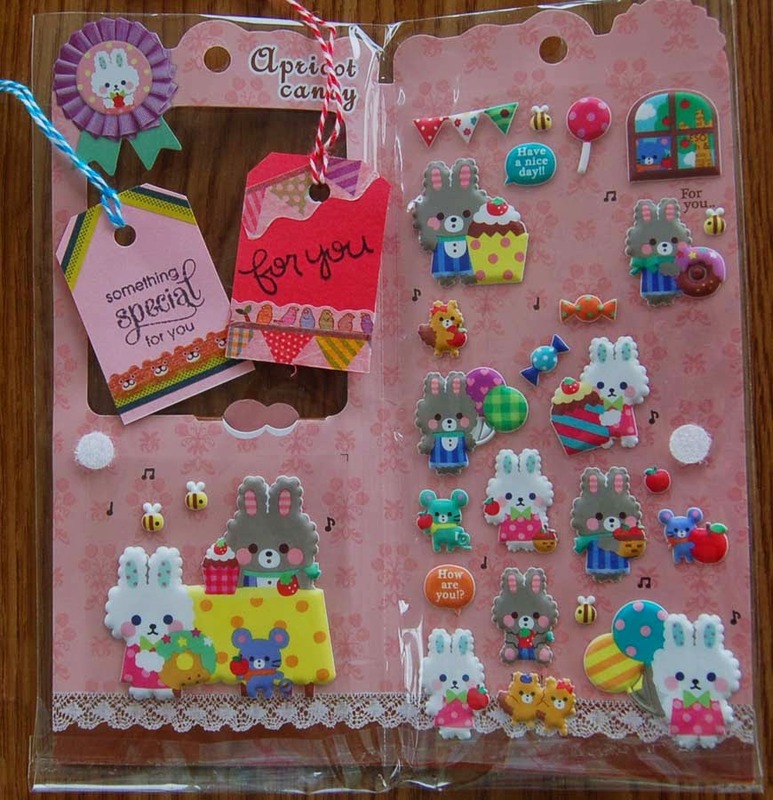 Look how many cute stickers there are in the package! The big sticker would make a great card....don't ya think? On the photo from the previous post you can see the pack of matching papers that I used for the tags. I used the LIttle B tag die set (purchased at BFC) to cut the tag shapes from the printed paper (two small tags can be cut from each sheet); then I hand cut the coordinating solid colored card stock. For the backs of the little tags and the fronts of the larger tags, I used washi tapes (see previous post) to highlight the sentiments (Paper Smooches stamp sets). 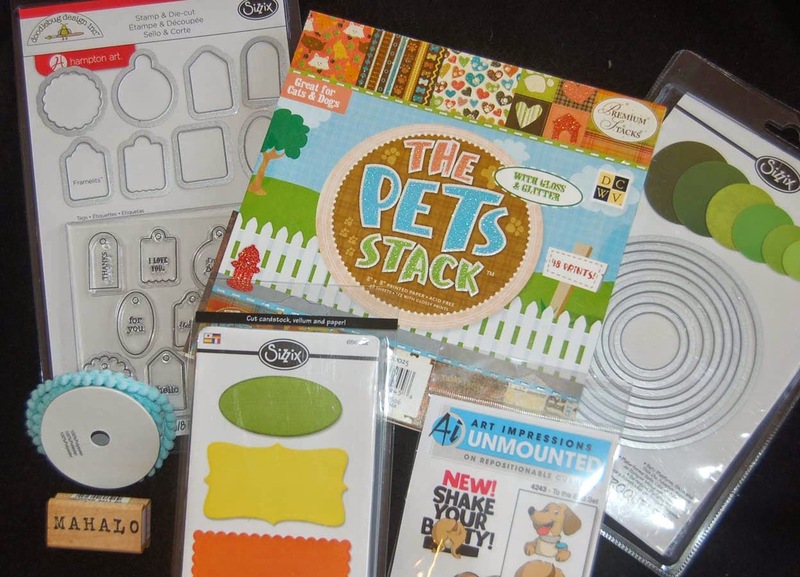 Our HM Ben Franklin Craft stores and Celebrations have racks full of adorable stickers which can be easily incorporated into your handcrafted cards, tags, picture frames, etc. 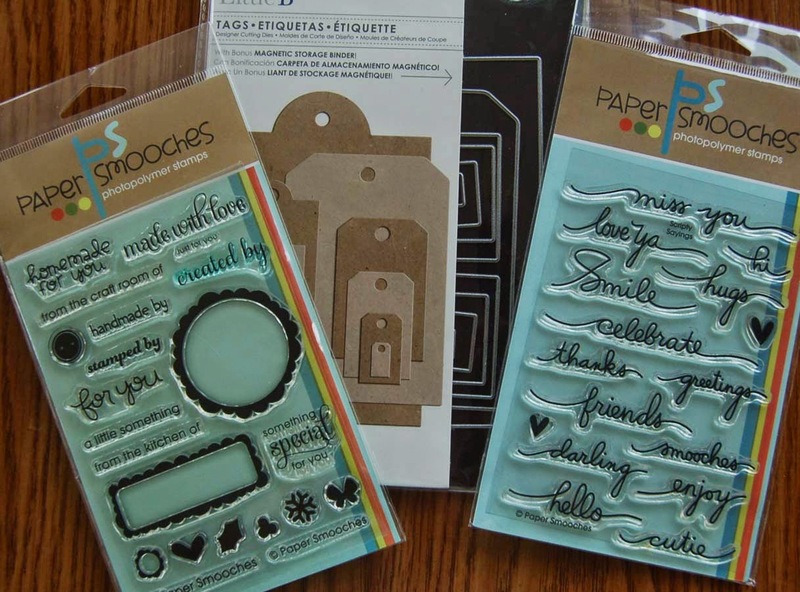 They are an inexpensive and quick way to embellish your craft work. Get crafting and smiling! I went into Celebrations (next to HM BFC Mapunapuna) to redeem a $10 certficate (given when you complete a Celebrations purchase stamp card). 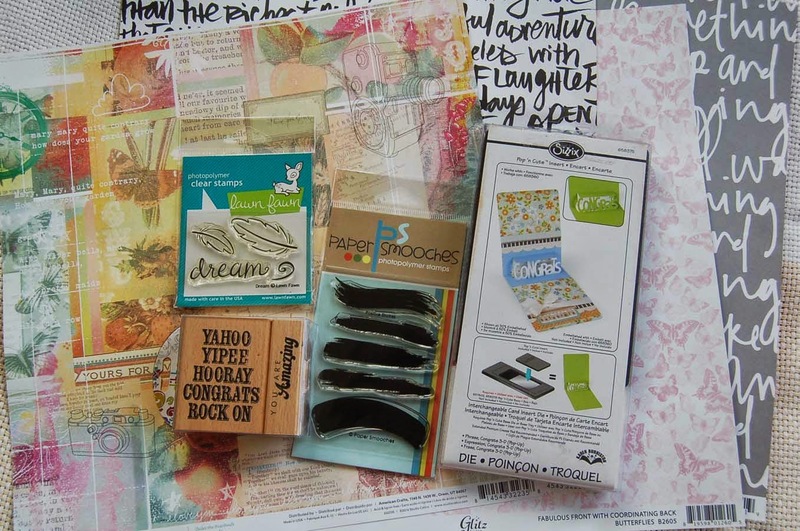 Of course I found enough goodies to almost fill out another stamp card! 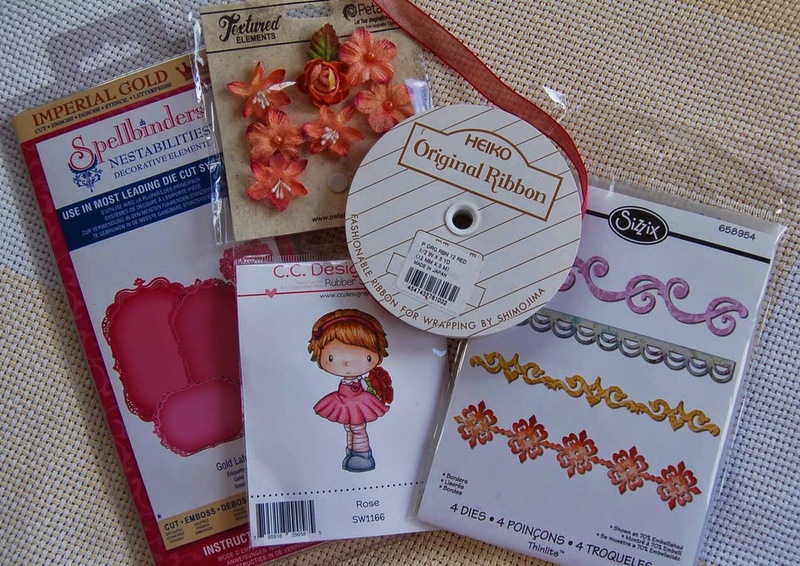 I thought I was only going to buy flora wrap (as seen on Joy of Crafting) but here are just a very few of the many things I bought. I was immediately drawn to the packets of Celebrations animal head die cuts. These adorable (lots of other animals available) packs have all the parts you need to make the heads for five bag toppers. 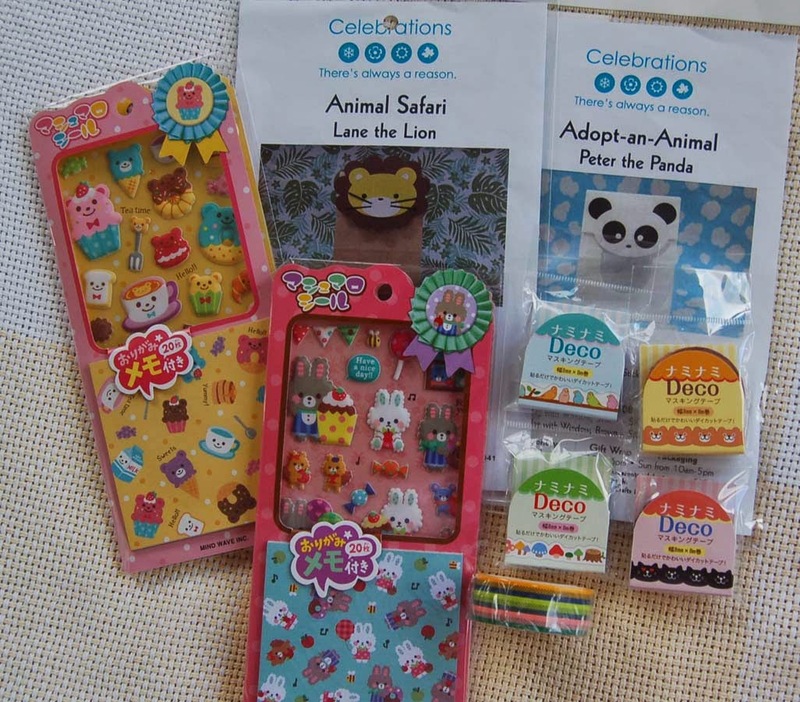 The photo shows only two of the many sticker packages sold at Celebrations. 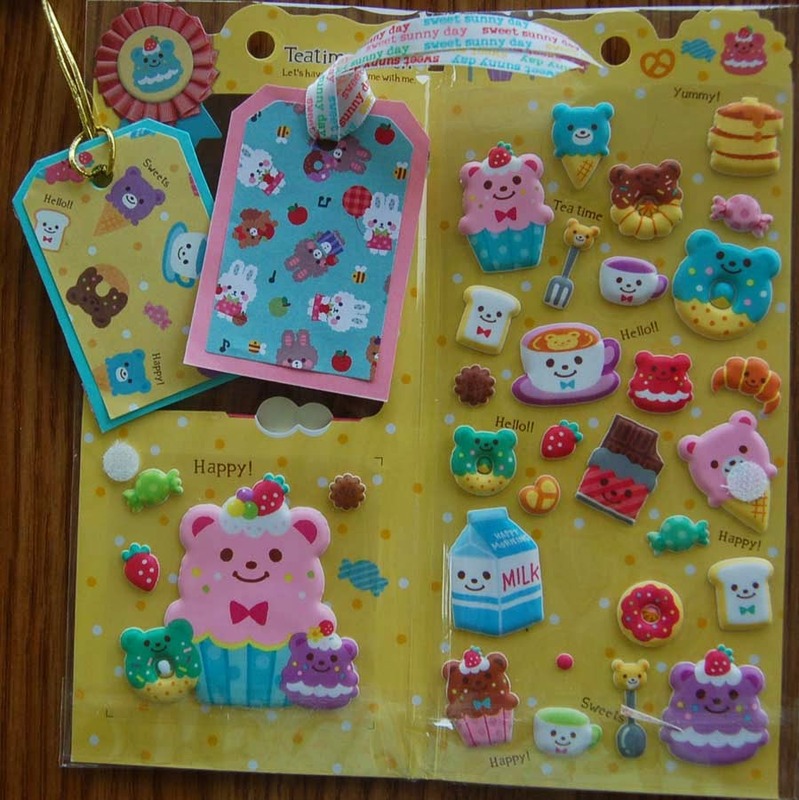 Each package is full of sweet puffy stickers (more behind the flap) and a pack of matching papers. I'm going to use these to make a stash of tiny gift tags. The four skinny washi tape rolls (designs can be seen on the package front) were also irresistible so I caved in and got these because most of the tapes in my stash are much wider (*wink* wink*)...okay I have a washi hoarding problem :D The other three pack of skinny washi tapes is from Celebrations. These tiny tapes should look great along the edge of the tiny gift tags. I hope you will make a visit to Celebrations and your nearest BFC to find some irresistible goodies of your own. Thanks for stopping by today....please leave a comment if you have some free time. See you in blogland! I've had the cute Art Impression front and back dog stamp for awhile and finally decided to ink it up to make a thank you card. 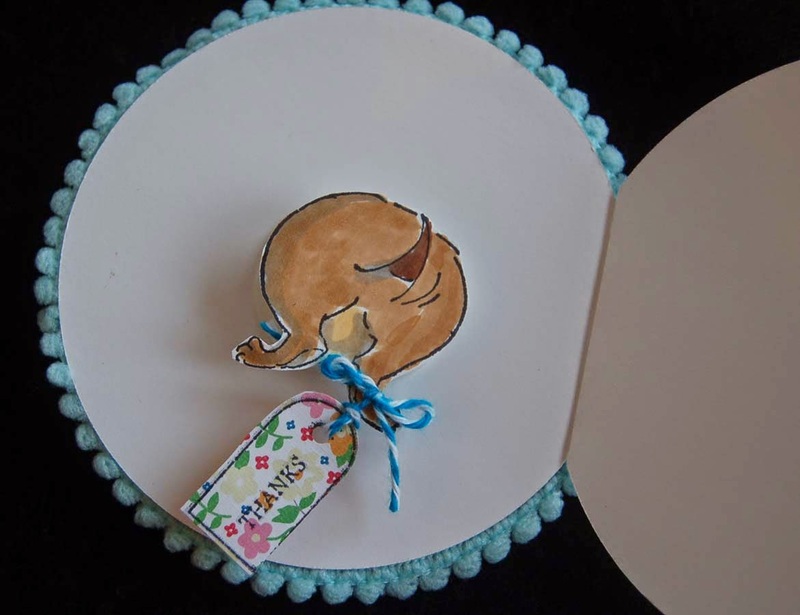 Initially, I wanted the dog to pop out the card like it ripped through (like the end of a cartoon) but after several tries I opted for a simple round card. (I think my circle die was too small.) Anyway, I like how this came out with the dog print paper (from a DCWV 6x6 pad) and Darice pop-pom ribbon. The Ai stamp set came with a bouncy spring to attach to the dog's backside so it can twerk...LOL! To keep it simple I scored a fold line on the back circle (paper also from the same DCWV pack) and this allows the card to open. The Mahalo stamp is a Rubber Stamp Plantation oldie. 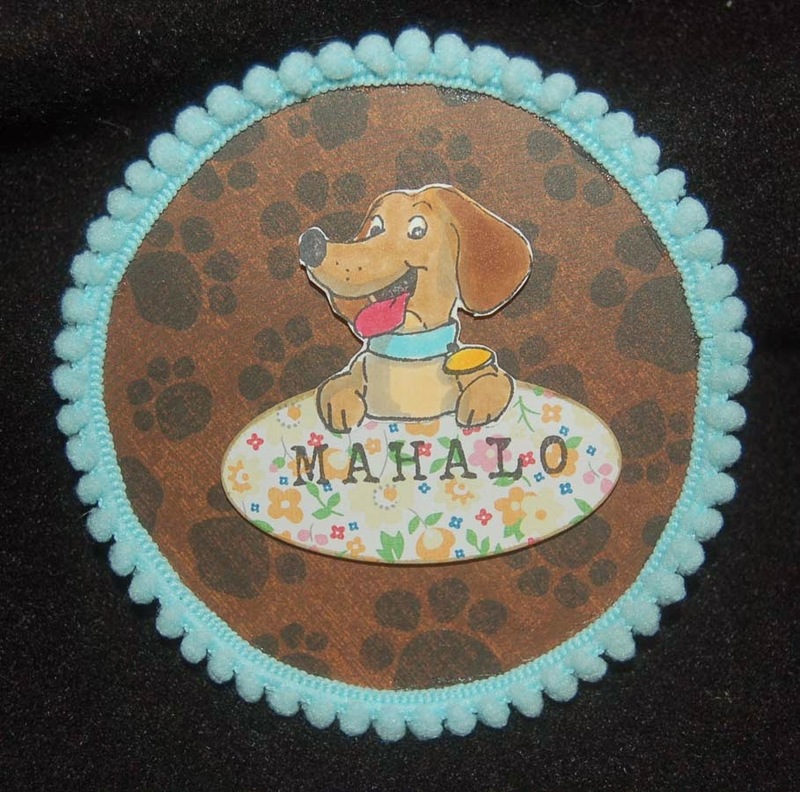 The Mahalo sign was cut with a Sizzix label die and the small tag was made with a Sizzix die from a set that included the stamped words. Maybe another day I'll try to figure out a card with the dog popping out but for now I was in a rush to mail out this card. Thanks for stopping by to read this post. Have a crafty life! This grad card is similar to the one on my last post but looks quite different because of the colors and card stock used. Although it looks like the words are stamped in black, I actually used silver ink and embossing powder. Unfortunately the feathers are flipped up because I had the fan on when I snapped the photo LOL! The card really does look better in reality. Like on the previously posted grad card I used Studio Calico card stock. (See last blog post for a photo of the supplies used on this card.) I think the white script on grey looks good with the pink/salmon colored card. I hope this card shows the grad that we are so proud of her. Congratulations to all the hard-working graduates! This year I have a few grads to acknowledge so I decided to start early on the cards because I need to make leis too. 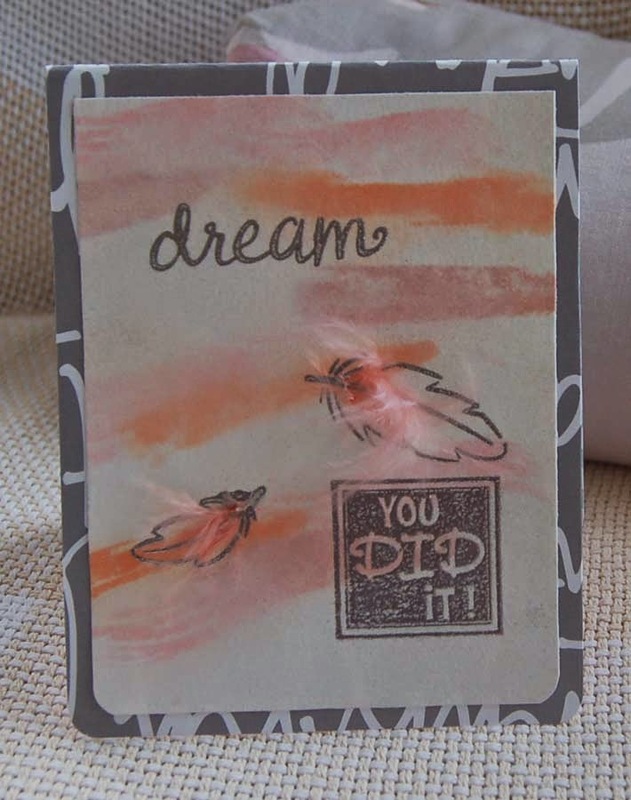 I began by playing with Distress inks on the Paper Smooches brush stroke stamps. After spritzing with lots of water I let the watercolor paper dry and chose a piece that had lots of movement to match the Lawn Fawn feather stamps. 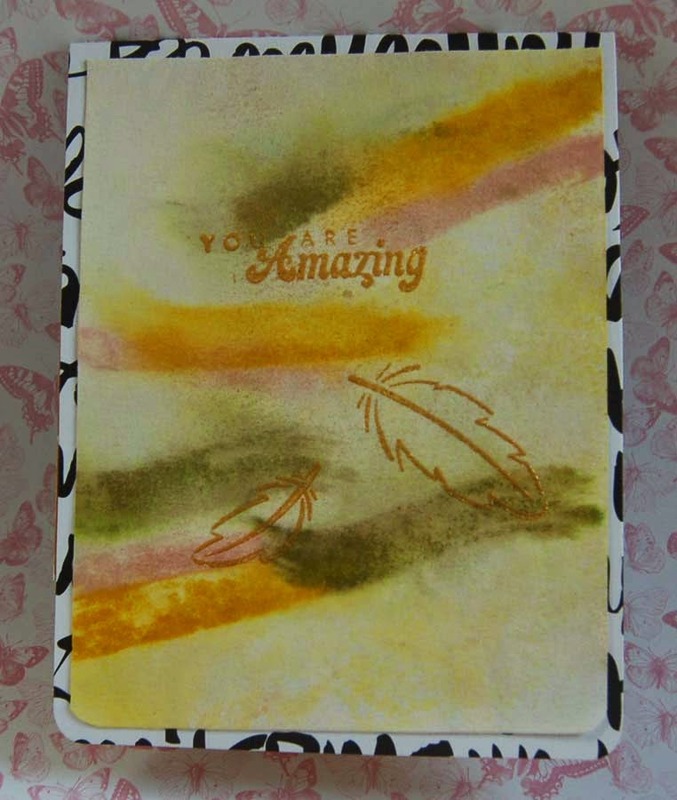 I stamped the words and feathers in gold and heat embossed it with gold embossing powder. 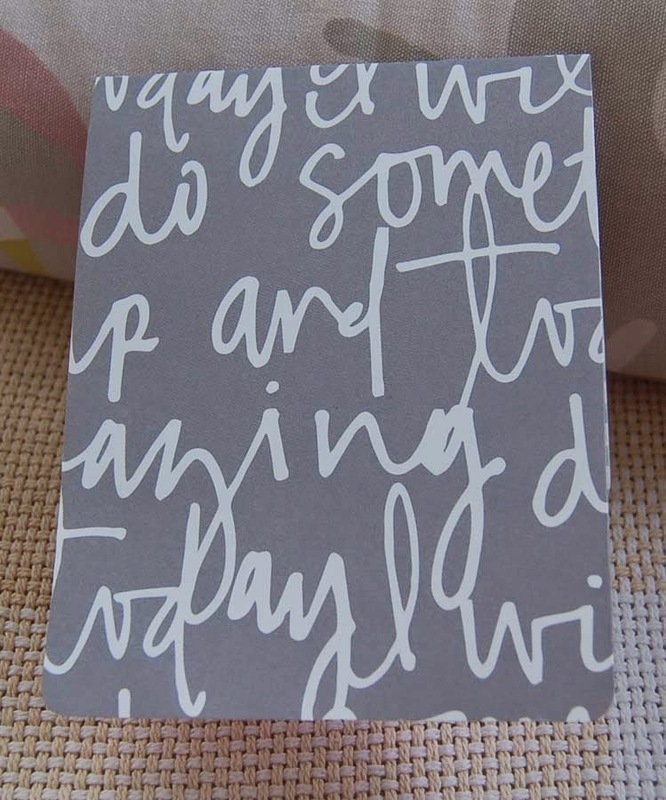 For the card base I used a Studio Calico card stock with bold inspirational words. 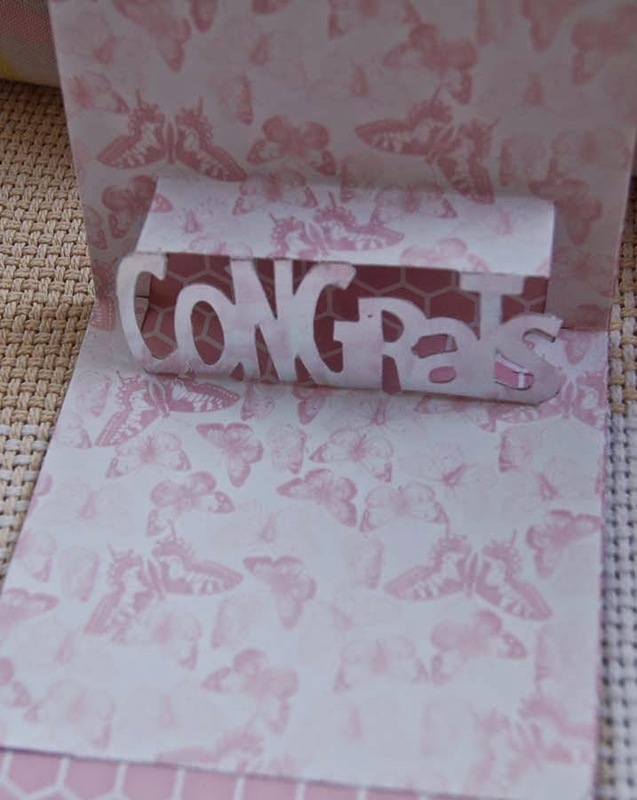 The Sizzix pop-up 'Congrats' die with the card base die (not shown)were used to cut out an inside and outside card. I love the inside collage print paper because it didn't require any more decoration other than the stamping of 'dream' in gold ink. Here's a side view of how the words pop-out....cool yeah? I think the bold printed words make a very graphic statement. This grad card was easy to make but looks like it involved lots of work so the graduate should be impressed with my effort...heeheehee! The You are Amazing stamp was from a set by Ditto that I can't remember buying and discovered in my stash of graduation stuff. 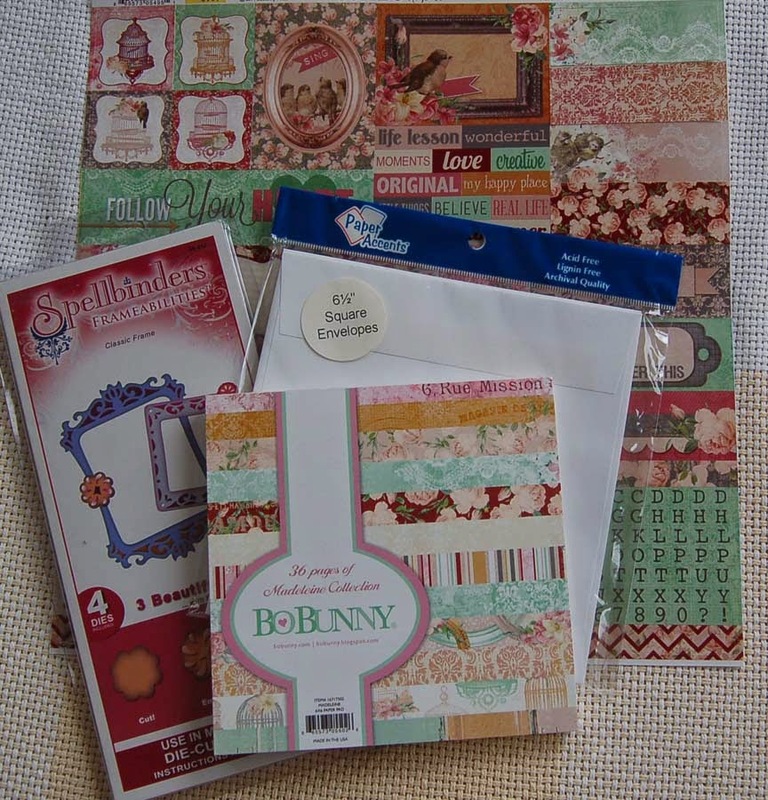 I do know that HM Ben Franklin Crafts has the Lawn Fawn stamp set and the Studio Calico papers in stock now. 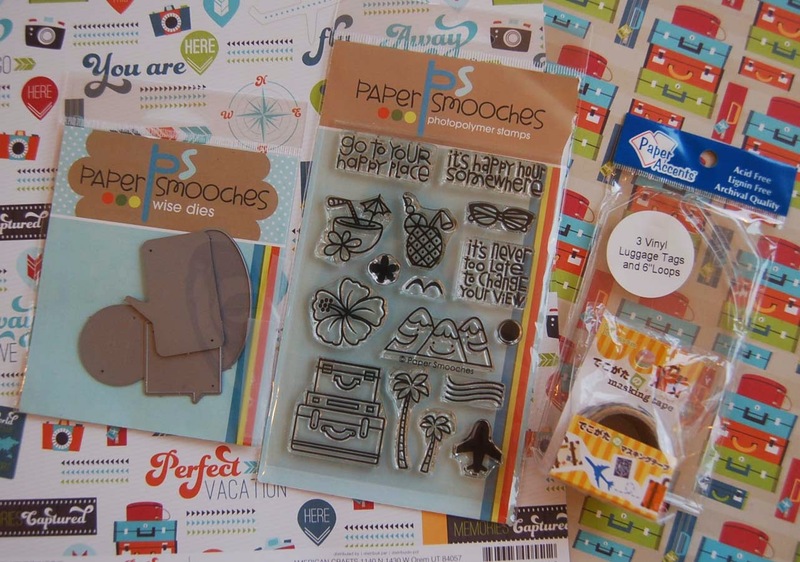 Go check out the new crafting supplies that continuously flow into the Ben Franklin Stores. It's Graduation time! Get crafting! Every time I buy another roll of washi tape, I realize that my 'collection' is turning into an obsession. I am always on the hunt for another use for the colorful, translucent stuff. 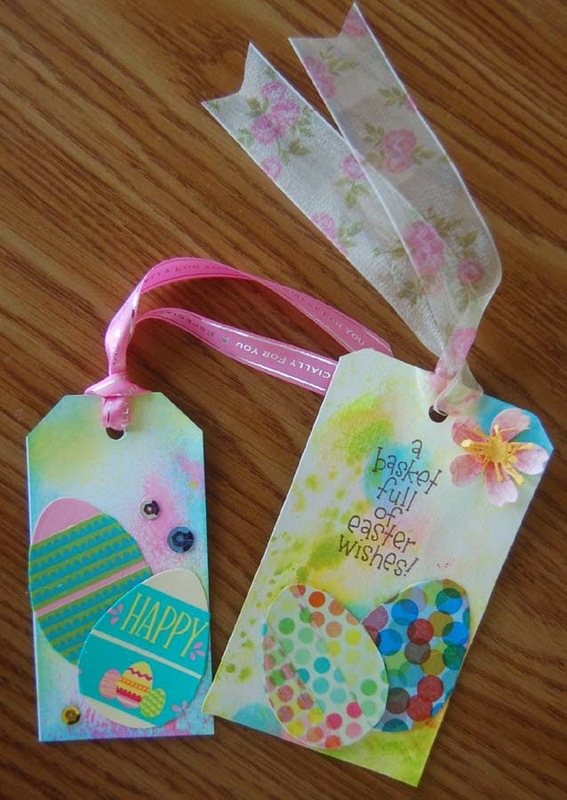 Recently, someone (can't remember who) showed how use washi tape to decorate real eggs for Easter. 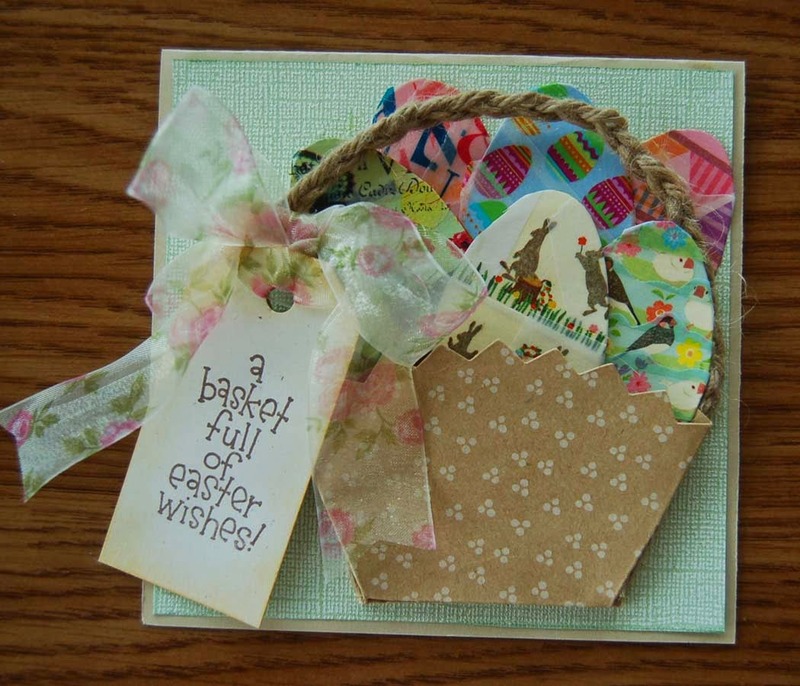 That gave me an idea to decorate die cut paper eggs (Spellbinders die set) with washi tape. It is a fun use for the printed tape and helps to use up my stash...yay! 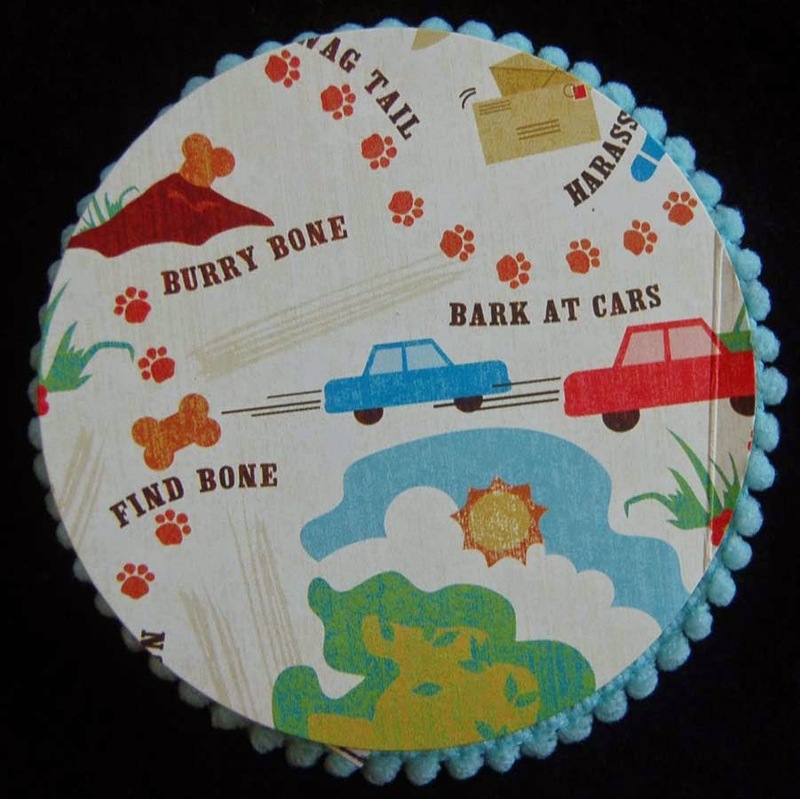 The basket was created using a Sizzix die that was supposed to be for cookie pockets (what????). I found the die in the clearance box at the Hilo HM Ben Franklin Crafts. There are a few more; I think. A braided twine handle was glued on to form the basket and a Paper Accent tag with a Dandelion Designs sentiment was added. I used a bunch of washi tapes from BFC and Celebrations (next door to the Mapunapuna BFC). Ben Franklin Crafts now carries a wonderful line of washi tapes from Japan as well as beautiful ones by Little B. 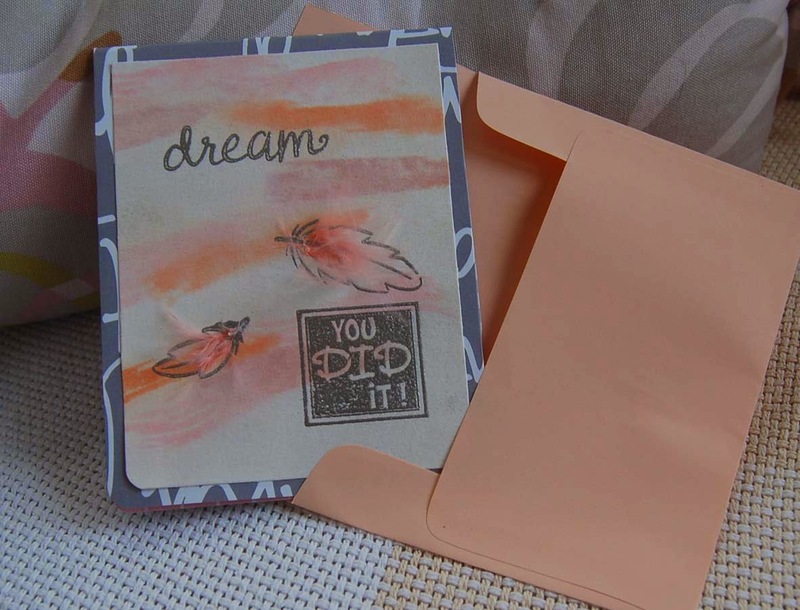 The whole card was sized to fit into a 5-1/2" square envelope. Oh yes, because the basket has some actual space inside, I was able to add some sticky foam squares under the front eggs to add more dimension. Great Idea! 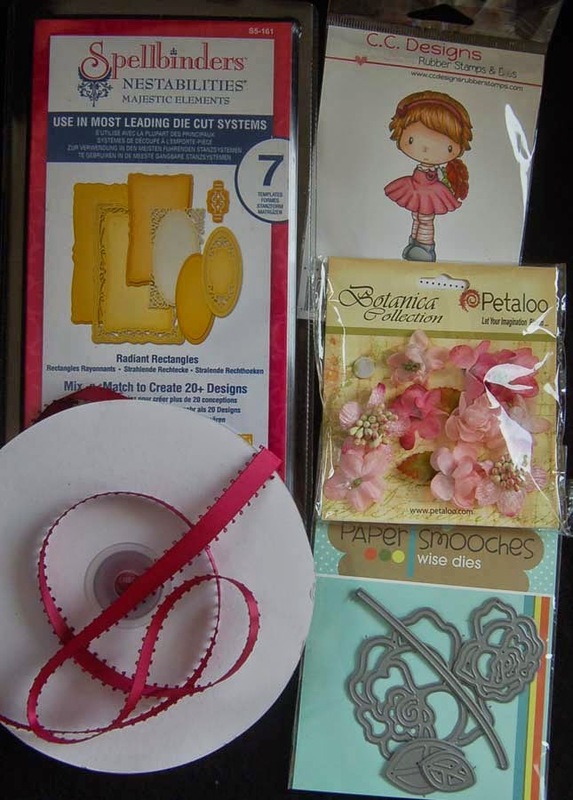 : I can fill the basket with some flat craft supplies like stickers, ribbon, etc. to give as a gift/card for any occasion! At the end of any crafting session, I always have lots of 'extras' on my desk. Here's what I did with the 'egg-stra' washi covered die cut eggs and the bits and pieces that seem to accumulate everywhere. 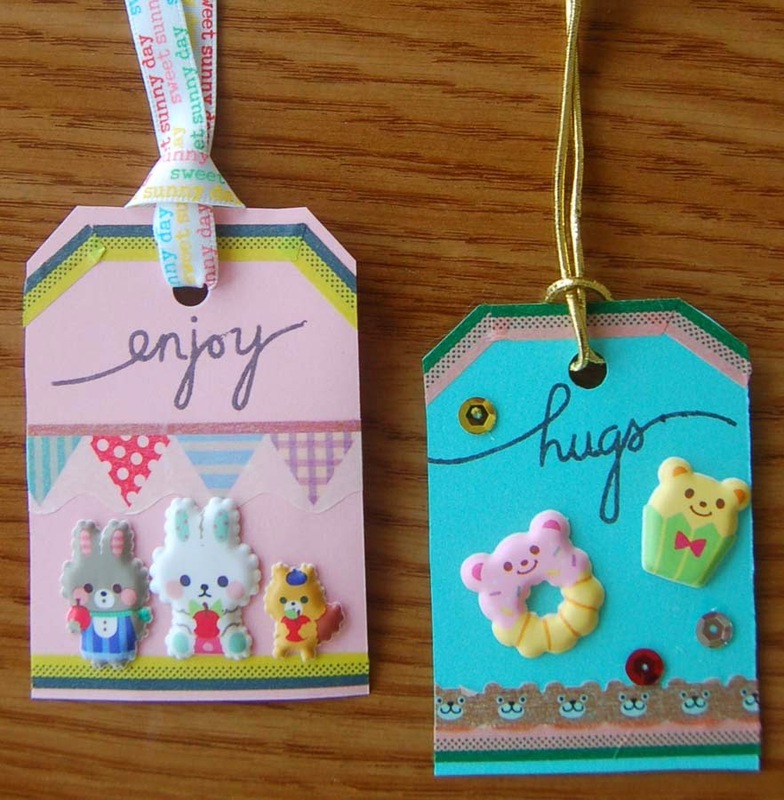 These tags will jazz up some pretty Wilton cello treat bags I purchased from HM Ben Franklin Crafts. Have a sweet and egg-citing Easter!